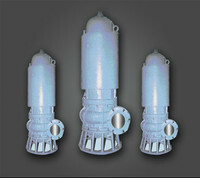 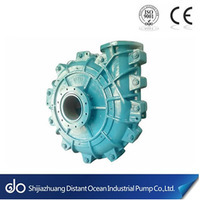 “DOH” Heavy Duty Slurry Pumps are designed for a wide range of erosive and/or corrosive applications. 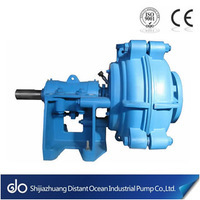 Heavy Duty Slurry Pumps are generally required to use in the conditions of high concentrations of erosive solids transportation. 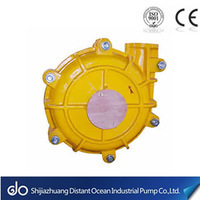 “DOH” Heavy Duty Slurry Pumps are designed for a wide range of erosive and/or corrosive applications. 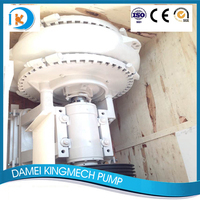 DOH Heavy Duty Slurry Pumps are generally required to use in the conditions of high concentrations of erosive solids transportation. 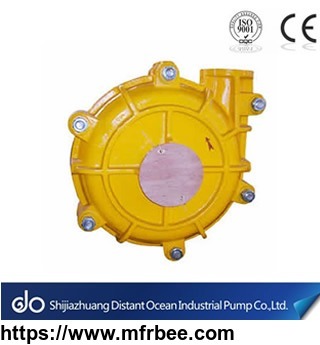 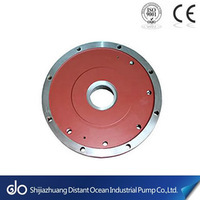 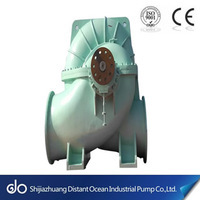 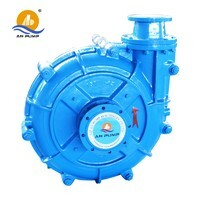 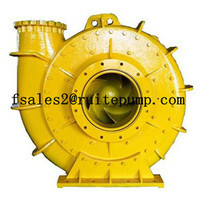 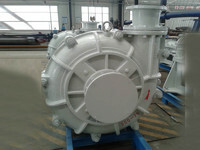 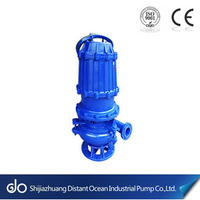 The “DOH” Horizontal Centrifugal Slurry Pump maintain high efficiency over the wear life of its components, and the wear parts including Impeller, Volute Liner , Frame Plate Liner Insert, Throatbush, are all manufactured by high chrome alloy. 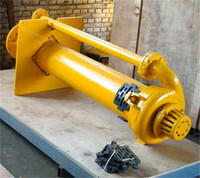 Metal Lined slurry pump casings which are radially split into tow halves, and minimum casing bolts reduce maintenance and minimize downtime. 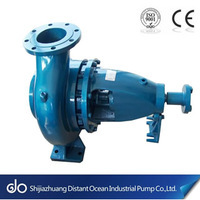 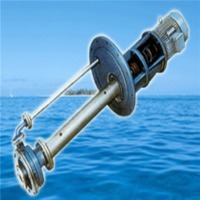 Heavy Duty Slurry Pumps are available with an optional centrifugal shaft seal, including Gland Seal, Expeller Seal and Mechanical Seal which eliminates the need for gland sealing water.